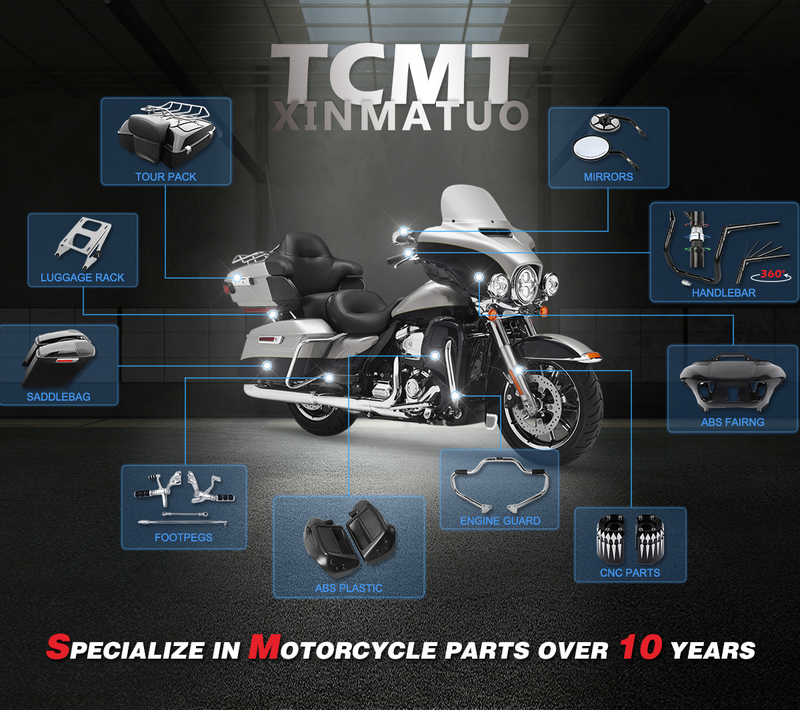 "TCMT "Xinmatuo Motorcycle Parts Industrial Co.,Ltd is located in Asia's largest motorcycle parts. Established in 1995,XINMATUO is a professional manufacturer and trader specialized in large-displacement Motorcycle Parts .With convenient transportation access.With advanced production facilities and world-leading level process,we receive praise from customers worldwide. In 2014,we registered "TCMT" as our trademark and moved the company toward branding.By making new moulds,there are more than 100 products developed every year.In order to meet the strategy of product globalization. Our motorcycle parts which are suitable for various motorcycle models are at a favorable price,high-quality and adequate stock.Now there are 5000 items available,which are the superior and reliable sources for overseas sellers and wholesalers.